The App Store – Apple’s premium online service for finding and installing apps for your iOS powered devices has been growing as of late with an abundance of free casino apps. There is a huge variety to sift through, with many of the world’s most exclusive casino brands having an app represented. By far however, the most numerous casino apps are based around the premise of slots which isn’t surprising really, seeing how the majority of casino gamers enjoy the spinning reels the most. Since we are literally talking about thousands of apps, it is a good practice to pick the most memorable and interesting ones from the crowd and feature them for prospective players. Don’t forget – this list consists of free slots apps which you can play on your iPhone or iPad and enjoy a continuous stream of entertainment. If you are looking for slots apps for real money, be sure to check out the selection that include Net Entertainment casinos, which also offer handsome welcome bonuses for mobile players. Starting off with the biggest and most downloaded app of them all, myVegas Slots is an absolute champion when it comes to being played on regular basis by casino fans. This is a great collection of the best slots and casino games you can play on your iPhone or iPad and it boasts excellent graphics, cool touch interface and is being constantly updated with new and exciting features. One of the most downloaded apps on the App Store is Slotsmania and it is an app that is well deserving of its name. There is a nice variety of slots packed with excellent multi-player focused features such as coin challenges, gifts and more. The more successful you are at unlocking these challenges the better the stuff you get on a weekly basis. You can also rank up against other players which is a nice competitive incentive you might appreciate. With this app you get up to 5 different slots games that are completely original and differ in their game play. You can choose to play Gold Mine, Cleoplay, Fruits machine, Diamonds & Dollars and Jungle Patrol. 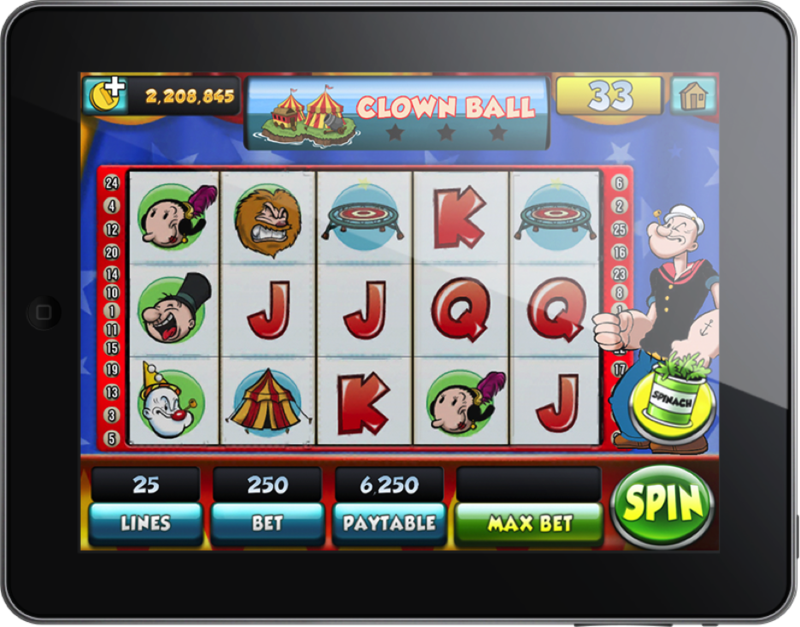 As with other slots games on the App Store you are given the option to play cooperatively with other players, i.e. send coins and earn rewards. Slots by GameHose is an app that lets you play with your Facebook account, and offers a seamless transition and shared functionality of the desktop and iOS version. The idea is simple and works great, especially if you have a lot of friends who also like slots as much as yourself. You can trade coins, compete in local tournaments and share your exploits on online leader boards. Yet another free iOS app that requires a Facebook account to be able to play yet it is so good, there are literally millions of players on it every day. This helps you stay up to date with the latest news and also, have the option to play with friends and compete on various challenges. There are several slots you can try and the app is being constantly updated with newer themes, great bonuses and more.